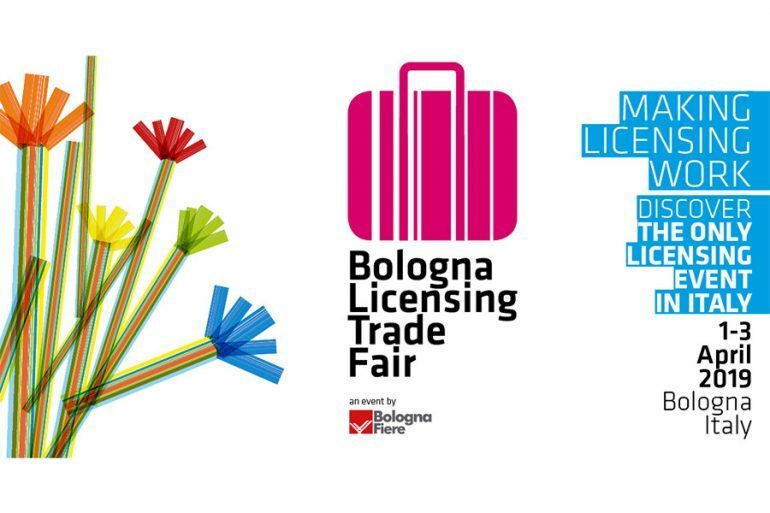 The only event in Italy dedicated to the licensing industry, now at its 12th edition: BolognaFiere, from 1 – 3 April 2019. Once again, the Bologna Licensing Trade Fair will be held in parallel with the Bologna Children’s Book Fair. Completing the publishers’ rights event, BLTF is a great networking and business opportunity for licensors, licensees and distributors from all over Italy and Europe. A showcase for the latest products, it also offers sector specialists an exhaustive overview of trending themes in the allied worlds of digital and media, publishing, and kids entertainment. The trade show covers 3000 m2 of exhibition space. Among the many services on offer is a dedicated Pitchroom with all the A/V equipment necessary to present and launch new products and brands. 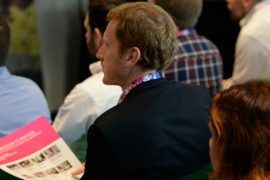 There are the licensing seminars, organized in partnership with key industry players, providing visitors with a deep-dive into the trends of the moment. Last but not least, the digital property guide gives an exhaustive overview of exhibitor brands, an essential reference tool for visitors on available licences and market trends. There are two exclusive lounges: a licensee lounge and a licensing retail lounge, this latter with a VIP room for retailers, a growing visitor category to the trade show. An exciting new feature of the 2019 edition is the two new spaces dedicated to trending consumer products that take their cue from the world of fashion and illustration. ARTLicensing, for example, is an exhibition showing a range of manufactured goods that had their beginnings in illustrations by artists selected for the 2018 Illustrators Exhibition. also be on the new frontiers of retailing and the changes required to meet the challenges of the future. Fashion also gets special attention in the wake of the positive experience of Nice Licensing at the last Pitti Bimbo 88. Numerous brands attended Nice Licensing at Pitti Bimbo 88 that ran until 19 January last. They included Angry Birds and Emoji – the iconic brand represented by Maurizio Distefano Licensing, Felix the Cat, Ghostbusters, Miffy, Parental Advisory, UglyDolls and Yale represented by CPLG, National Geographic Kids by National Geographic Partners, Pokémon by Pokémon company International, Popeye (celebrating its 90th year) and Subway Surfers represented by Premium Licensing, Feisty Pets represented by Mondo TV, Adrenalyn XL and Panini Brand by Panini, JoJo Siwa by Viacom Nickelodeon Consumer Products, Magiki by De Agostini Publishing, Nicoletta Costa Brand by Nicoletta Costa, Bravado by Universal Music Group. The feedback from the companies attending was enthusiastic. “We at Viacom Nickelodeon Consumer Products were part of Nice Licensing for the second year running, taking the opportunity to present one of our main properties for 2019 to the trade: JoJo Siwa” commented Nadia Caron, Viacom Nickelodeon Consumer Product’s Senior Director of Licensing for Greece and Turkey. “An actress, dancer and singer, JoJo is especially a social phenomenon with more than 30 million followers, hugely popular for her colourful style and glamour. We couldn’t have had a better setting than the prestigious backdrop of Pitti Immagine Bimbo to present our brand licensing programme to the trade and the roll out of our cross category products for 2019; it was an excellent venue for an in-depth presentation of the property, creating interest on the part of potential partners. Visibility was excellent thanks to an event organized on 17 January at the hairdressing booth where a make-up artist created the perfect JoJo Siwa hairstyles for girls and women. The buzz created aroused general interest in the opportunities offered by the brand”. National Geographic Partners were also delighted with the outcome, confirmed Luca Vecci, Country Lead, Italy – Consumer Products, Publishing & Experience National Geographic: “The Nice Licensing Area at Pitti Bimbo proved an extraordinary opportunity to present our new National Geographic Kids’ licensing programme targeting the world of children’s fashions”. splendid double booth presenting both its licensing and international publishing sections, Hasbro, Mattel, Rainbow, National Geographic, CPLG, Planeta Junior, Mondadori, De Agostini, Pokémon Company International, For Fun Media, Mediatoon Licensing, Turner Broadcasting System, Maurizio Distefano Licensing, Atlantyca, Starbright, Gruppo Alcuni, Bridgeman Images, Premium Licensing, Bic Licensing, Promoplast, Grani & Partners, Sbabam, EQSG, Leoni Spa, Dynit and many others. BLTF 2019 is the only trade fair of its kind in Italy and a premier event in Europe where major licensors and licensing agencies meet to present the latest market features. The event is attended also by a large number of promotional companies operating on the licensing and publishing markets. 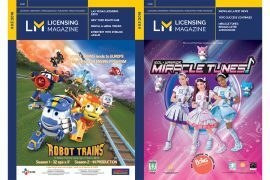 Send your main novelties for the next Licensing Magazine!